Companies are always trying to get their spending under control to boost their bottom line, but it can be difficult to trim an already tight budget. However, many underestimate what they’re spending – and wasting – on print and document management. 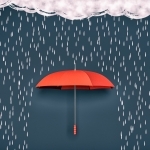 These strategies can help you save significantly. A print assessment can help you understand what you’re truly spending on print. A Managed Print Services provider can perform a comprehensive analysis, showing you how each print device is being utilized. They can also offer strategies to optimize your print environment, which can help you save as much as 30% on print. Older equipment can be costly with repairs and reduced efficiency. This print assessment will also help determine if your old printers are actually costing you more than upgrading would, so you can make informed decisions on when to invest in new equipment. Color and single-sided printing are wasteful practices that will cost you money. But with a few clicks of a button you can change your default print settings to eliminate this waste, and save color printing for when it’s really necessary. Some companies choose to restrict color printing to only certain departments or employees to ensure compliance. 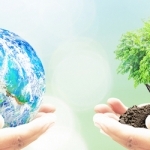 Pull-printing can also help reduce waste. With this method, the document will not be printed until a code or other identifier is entered at the print device, eliminating print jobs abandoned on the print tray. Today’s multifunction printers make switching to digital documents and workflows easy. Digital documents take up less storage space, meaning you’re spending less. They can also boost productivity and efficiency. Digital documents don’t need to be printed very often, further saving you money. Cloud computing allows you to store these documents in the cloud for easy access from anywhere. Embracing mobile technology such as cloud computing enables your employees to be more productive, working from home, on the go, or in the office seamlessly. 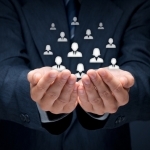 Improving your document management strategies will improve your bottom line. Want to know how much you could save with LaserCycle USA’s Managed Print Services? 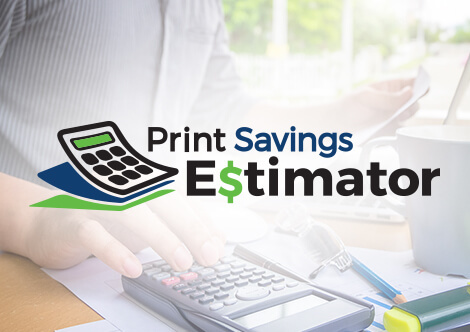 Try our free Print Savings Estimator and find out!